Lets Vape & Smoke Shop KC carry a big wide variety of spoon pipes because they are the most commonly used style of a hand held smoking pipe. Offering you cheap budget spoon pipes, top brand triple blown spoon pipes such as infamous glass, as well as High Quality handmade spoon pipes from both international and local Kansas City Artists. Striving to be Best Place to buy spoon pipes made of Glass, and we believe we are, largest Vape Shop in Kansas City. 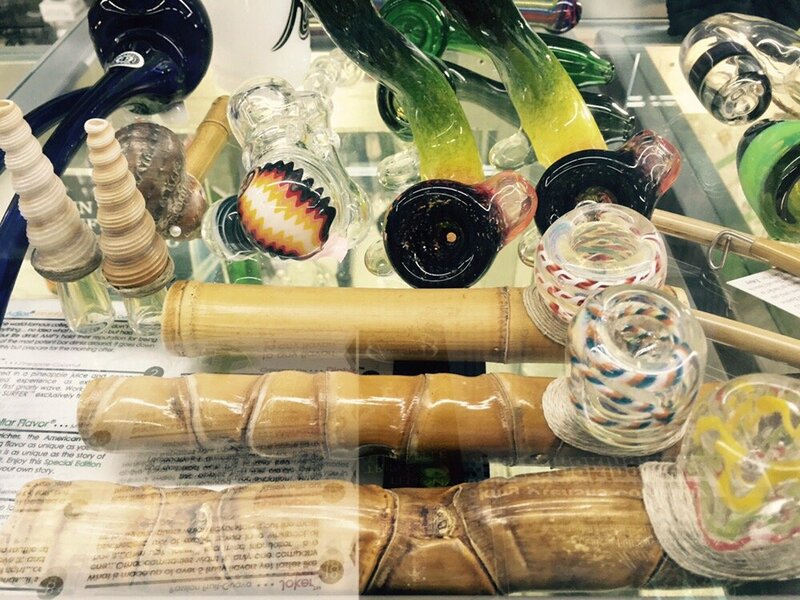 Also offer top brand glass such as Blown Glass, triple blown infamous glass, gravlabs, purr, and helix. We also have a wide selection of beautiful handmade glass pieces, most of which are double blown or triple blown pieces. We, the Best Vape Shop in KC, carry a variety of glass nectar collector spoon pipes that are basically like hand held water pipes. 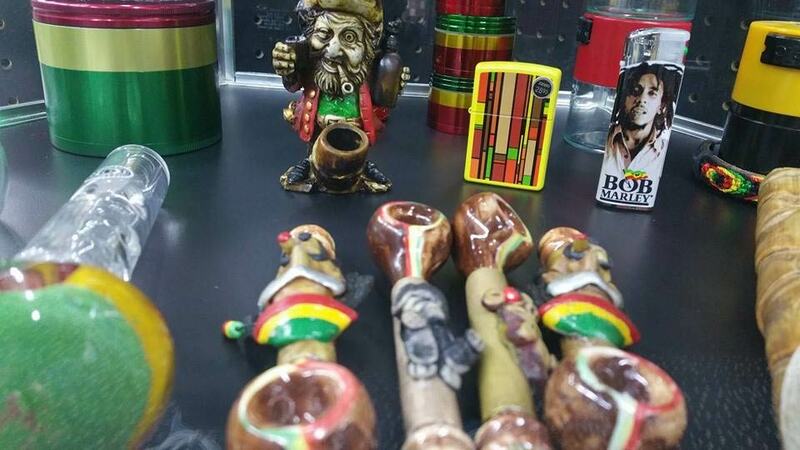 They offer a smoother smoking experience than the traditional smoking hand pipe. 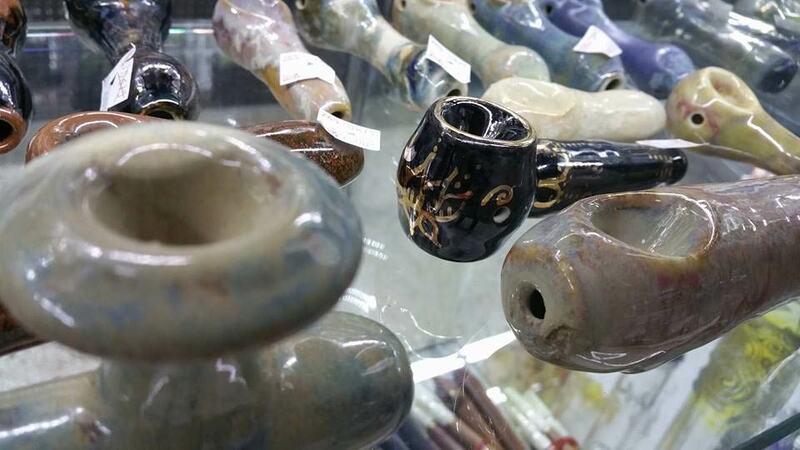 We carry a variety of spoon style bubblers. Our bubblers come in all shapes & sizes and vary in design. 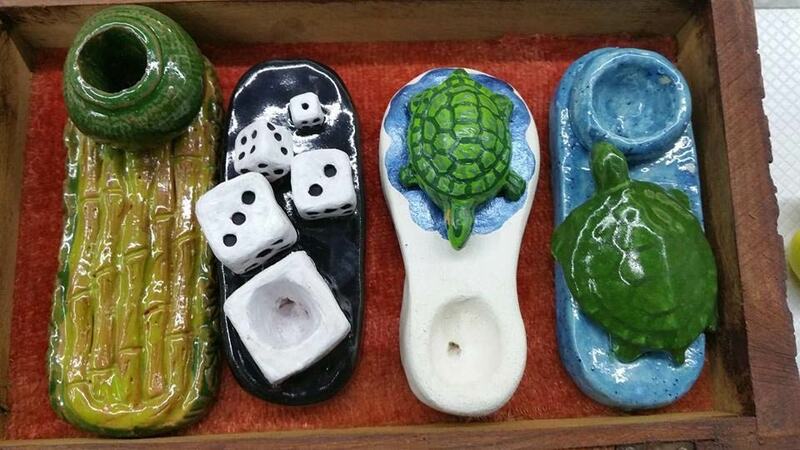 Our Vape Shop have a wide selection of beautiful ceramic spoon hand pipes. Some of our ceramic pipes are very sculptural while others are more simplistic in nature with beautiful glaze finishes. The Best Head Shop have a great variety of wooden spoon pipe(s). Some are 100% wood, while others are hybrids of wood and glass or wood and metal. We sell a variety of stone hand pipes, some of which are in the typical spoon style. These pipes are a durable solution with a classy feel. We carry a selection of beautifully finished pipes made out of natural bone. A decent selection of metal spoon hand pipes as well, although most of our metal hand pipes come in a wide variety of shapes that wouldn’t technically be classified as a spoon pipe. The difference between a spoon pipe and a chillum is that a spoon pipe has a vertical bowl and a chillum has a horizontal bowl. If you wish to add an ultra portable chillum to your collection of smoking tools we also sell as big a variety of chillums as we do spoon pipes. Lets Vape offer loads of selection at a wide range of price points when it comes to spoon pipes, offering a price match guarantee across our top brands of spoon pipes and will meet or beat the price of any local Kansas City competitor. Additionally, we offer many unique and beautiful handmade options you simply won’t find ANYWHERE else. Our goal is to become known as the best place in Kansas City to buy a beautiful and new spoon pipe in 2018.